The coffee filter is completely made out of porcelain and guarantees pure coffee relish without filter paper. 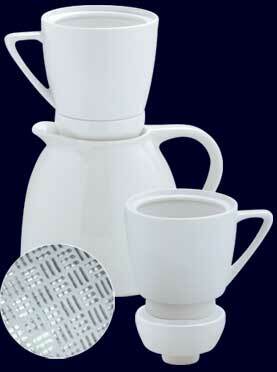 The coffee can be filtered directly into an elegant thermo porcelain carafe or any other kind of thermo jug. The coffee can be prepared directly into the Porcelain thermo jug or any other kind or thermo jug.